Glimpses of the Himalayan Kingdom is a tour around western Bhutan. 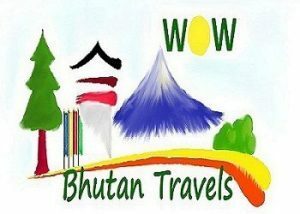 Western Bhutan is the most developed part of the country and you will be amazed to experience the perfect blend of modern lifestyle & ancient tradition, covering places like Paro, Wangdue Phodrang, Punakha and Thimphu “the capital of Bhutan.” Each district has something different to offer. This cultural tour is design for travelers with time constrain and if you are visiting other countries, it can be a stopover or extension. Visit the National Museum to get the glimpses of the Bhutanese culture & history. After lunch, a leisurely drive to Drugyel dzong (a ruined victory fortress located 16km from Paro town. Walk in the ruins and feel the ancient Bhutan. En route stop by Dochula pass ( 3150m) to enjoy spectacular views of the eastern Himalayan mountain range. Stroll around 108 stupas and enter Drukwangyel (Royal temple). After lunch, visit Punakha Dzong, “Palace of the Great Happiness”. This beautiful fortress lies between two rivers, the Pochu and Mochu, male and female river. Morning walk on the river bank of Punatsangchu, enjoy tea & the fresh breeze. After breakfast, drive to Thimph, a charming capital city nestled in the heart of the Himalayas. Drive to Buddha Gang, which offers the best city-view of Thimphu. This giant Buddha-statue overlooking Thimphu is one of the biggest in the world. Circumambulate around Memorial chorten (huge stupa). This is the favorite spot for the locals of all age to chant mantras, prostrate, pray and practice their devotion. Witness/ participate in an archery match played by the locals with lots of hue & cry. National Library where ancient manuscripts are preserved. They also have on display the largest Picture Book on Bhutan in the world. Folk Heritage Museum to embrace the cultural lifestyle of the ancient Bhutan. Traditional Medicine Centre which includes indigenous hospital and herbal medicine manufacturing unit. Zorig Chusum “School for Thirteen Traditional Arts and Crafts” followed by a visit to Textile Museum & Handicraft Emporium. Farmer’s weekend market. All vegetables & fruits in Bhutan are grown organically. The Tashichhoe Dzong, the main secretariat building, the office of the King and Throne room and also the house of the State Monastic Body. After dinner, night club and Drayang (traditional Bhutanese pub with live singers), Optional. Overnight Thimphu. After a wholesome breakfast, drive to Paro (53km/ 1.5hr). Check-in resort and prepare for the excursion. Picnic lunch at the hillside cafe with close Tiger’s Nest view. In evening, Bhutanese style farewell dinner at a typical village home with local liquor called “Ara.” Hot stone bath, optional. River rocks are heated and dunked into a large wooden tub with herbs. This type of bath is considered to have medicinal properties of healing. Overnight Paro.